is an upscale dining establishment located within the Watkins Glen Harbor Hotel, on the southern tip of Seneca Lake. The restaurant itself is warm and welcoming and the surroundings are picturesque. Peering out of the windows at the restaurant, visitors can marvel at the beautiful sailboats and boats traveling in and out of the harbor. The Grille includes the chic Coldwater Bar; a perfect place to meet friends and unwind with a glass of Finger Lakes wine, and The Patio, an expansive outdoor area equipped with tables and chairs and shaded areas. 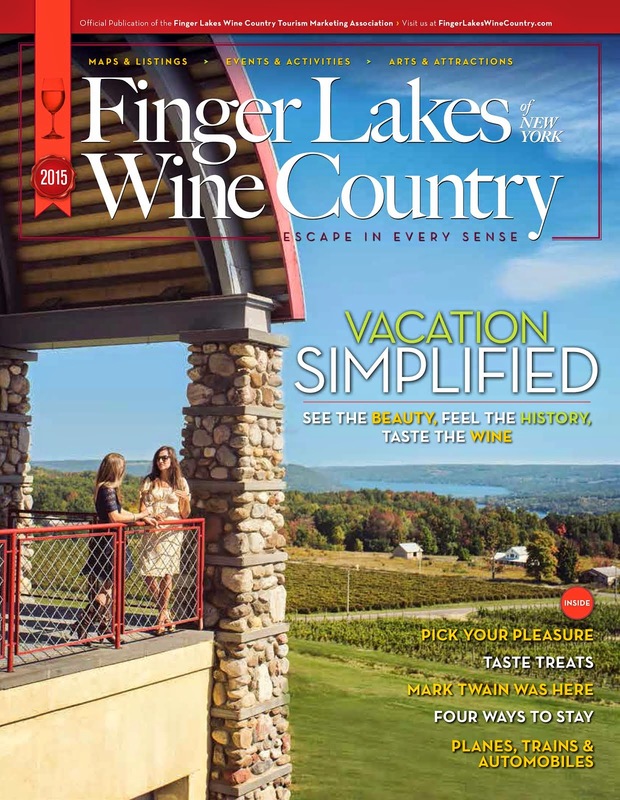 It is located within walking distance of the shops in Watkins Glen and also offers easy access to the wineries on Seneca Lake. Executive Chef, Chris Hascall, has been with the Harbor Hotel for almost 7 years and in the industry for 24 years. He definitely knows a thing or two about the culinary scene. At the Blue Pointe Grille, he creates diverse menus with unique flavor combinations that are beautifully presented on the plate. October’s Restaurant Week marks his third time participating in the promotion and he has crafted yet another delicious fall menu using local ingredients. This time around, he is serving lunch. As an appetizer, Chris is serving delicious Brie and Roasted Cauliflower Bisque. There is nothing better than a creamy bisque to satisfy the soul on a crisp fall day. The natural creaminess of cauliflower makes a perfect base and roasting it adds a great nuttiness to the composition. Sweet Potato Gnocchi is the main course – another comforting, cool weather favorite. The gnocchi is served in a cider cream sauce, adding a subtle sweetness to the dish, and finished with arugula and zesty lemon-herb goat cheese. Indulging in this decadent lunch alongside the region’s finest wines will surely be a treat!